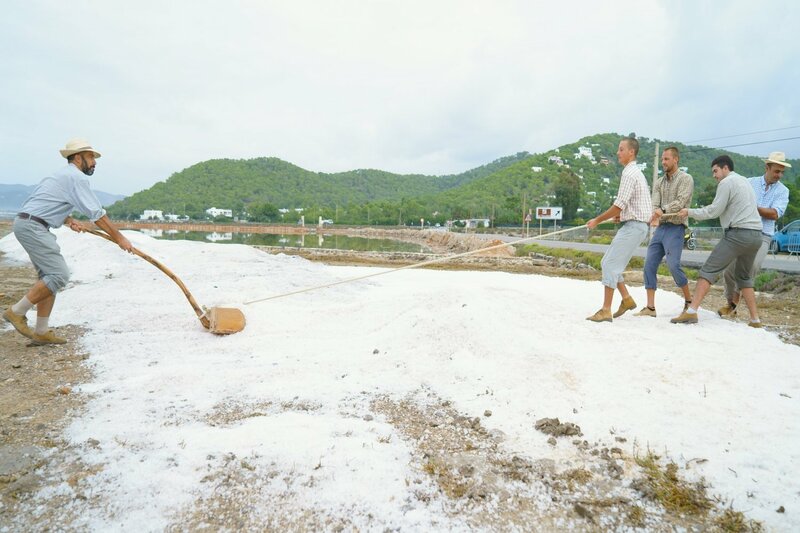 The third edition of Ibiza's Salt Fair (Feria de la Sal) returns this weekend from Friday 26 October for a three-day event that celebrates the island's original industry, salt production. Expect a wide programme of activities over various different "zones" of the natural park of Las Salinas, the salt industry's home for centuries and where production still continues. With dramatised visits, food tastings, children's workshops, walking tours and traditional folk dance, there's something for all in this homage to salt. Several restaurants in the locality are also offering special set menus and dishes, called “Menus Saliners” featuring salt and local food products to showcase the importance of salt in Ibizan gastronomy. Early evening Friday is the time for the children's workshops, though the official opening of the fair takes place on Saturday with a fogueró or big bonfire traditionally used to send smoke signals to call in the workers from neighbouring villages to start the annual salt harvest. On the same day there are several self-guided walking tours with information boards on the way explain how salt forms from seawater, how it is distributed and how workers work on the salt flats of Las Salinas. Food lovers should head down for the workshops showing how fish and olives are salted or the evening tastings of local dish of ossos amb col featuring local potatoes and cabbage. Between these two events is a display of Ibizan folk dancing, called Ball Pages. On the Sunday, there's a Nordic morning walk, a demonstration of salt harvesting, a market with local food products and hand-crafted goods, plus cocktails and food samplings. Look out too for the early evening music performance of group Música Alchemica, performing a piece entitled The Four Seasons of Buenos Aires. All zones of activity, timings and restaurants taking part in Menus Saliners are available in the full programme (in English, Spanish and Catalan). Stimulate your senses with this celebration of the world's most popular condiment at Ibiza's Salt Fair.